"I enter the smoky, dim bar full of young people. It’s a long, narrow space with tables at the front, a bar down the left side and several more rooms through arched passageways on the right. It looks like an old Czech pub that’s been fixed up a bit, but not too much. 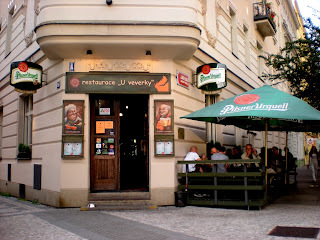 In Czech custom, a pub serves drinks, mostly local draft beer and some hard liquor (Becherovka, a bitter/thickly sweet herbal liqueur that is uniquely Czech; palenka, a fiery brandy made from fruit or grain; Polish vodka and a few Western whiskies). Pubs also serve simple food. 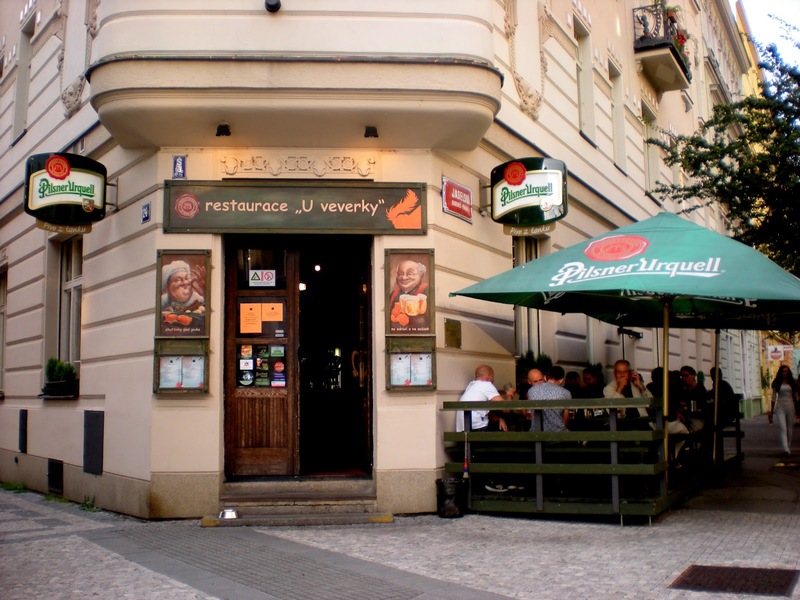 A few Czech pubs are called bars, either because they’re owned by foreigners or because their Czech owners want you to think that. This one, Western Cats, is owned by an American, a Czech and a Croatian. It’s quite famous among expats, but this is my first visit, as it charges American prices for Czech-cooked food, which is crazy to me. It’s not just my modest budget that’s kept me away, but my goal to get into the Czech culture as much as I can. Around me are the people I despise, a little bit, people like Shannon and Ian. They are expats who work for international firms, making about 10 times as much as Czechs. For them, this place is cheap, and they come here without any feeling of cognitive dissonance. For me, I feel that I’m thumbing my nose to the average Czech who is metaphorically standing with his nose pressed up against the glass, looking in wonder at such wealth. Well, I’d better get over my reverse snobbery. In this bar is a woman who really wants to help me. She’s not making a social statement by being here, she’s being a good girlfriend to her band-member boyfriend."